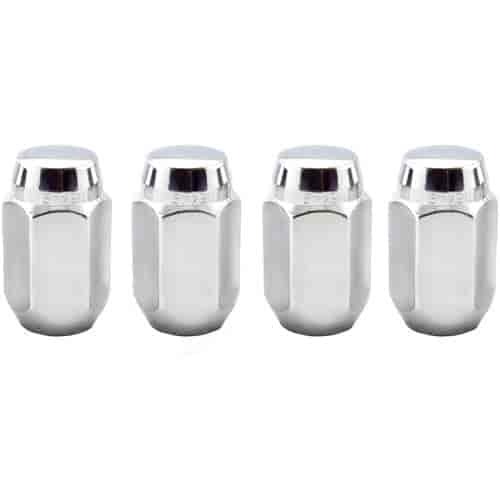 Cragar 27802B-4 - Acorn/Conical Seat Lug Nuts 7/16"
The Wheel Group 5452-4 - Closed End Bulge Conical Lug Nuts Thread: 7/16"
Does McGard 64001 fit your vehicle? 64001 is rated 5.0 out of 5 by 2. Rated 5 out of 5 by Cooter from I have been buying this product for many years and this is the only brand I will buy. These lug nuts should work on your Corvette with torque thrust wheels. Check to make sure they take a conical seat lug nut.